Jacob Dixon began complaining of back pain at age two. Having been through a long and tough labor (36 hours), his mother mentioned this to numerous doctors, to no avail, as a possible basis for his back pain. X-rays were taken, but were inconclusive. Then, when he was four, Jacob had acute back pain and couldn't sleep for two nights in a row for more than an hour at a time. X-rays, ultrasound, bone scan, MRI, spinal tap, myelogram and CT scans were performed. A neuro-radiologist informed the parents that the MRI showed a provisional spinal anteriovenous malformation (AVM). This, he said, could cause loss of bowel and bladder function and paralysis of the legs, if it haemorrhaged. Jacob was then referred to a pediatric neurosurgeon who performed a spinal angiogram. Surgery was recommended as a further diagnostic measure. A laminectomy was performed and a second spinal angiogram to see if they could find an AVM. After 8- hour surgery, Jacob was diagnosed with an AVM that the doctor said could not be treated at the time. The attending doctor then contacted colleagues around the country to help him decide if they should open up Jacob again to possibly strip the suspicious veins and arteries. The doctor decided not to perform another surgery. Jacob’s parents subsequently learned that angiograms and MRIs are the true tests for spinal AVM over surgery. Four months later, Jacob had a third angiogram with a different doctor who stated that he didn't think Jacob had a spinal AVM and asked Jacob’s parents if they were sure that Jacob didn't have a musculoskeletal problem. As it turned out that is exactly what Jacob had. Fours months later, after another acute back pain episode, Jacob’s parents were referred to a chiropractor. They took Jacob to Dr. Rokke, of Fargo, who examined Jacob and diagnosed him with a thoracic segment dysfunction. He treated Jacob six times. Jacob responded very well and his complaints of back pain were non-existent by the end of the last treatment. Spine, joint and sports injuries are rampant. It can affect anyone at any time. No one is immune. Not even the very young. These facts have been known for some time and these were also the reasons why we launched our center in Malaysia. We wanted to offer Malaysians an effective alternative that did not involve invasive or surgical procedures. In 2007, we launched the first Chiropractic Specialty Center in Kuala Lumpur, Malaysia. We wanted our center to be focused on spine, joint and sports injuries. Additionally, we wanted a collaborative team. A team, offering non-invasive procedures through principles of chiropractic and physiotherapy enhanced with advanced technology. We wanted specific forms of technology such as spinal decompression. Not traction like machines that are peddled as spinal decompression therapy devices, but a TRUE spinal decompression device. One that had superior function and abilities. We wanted a device that would be superior in treatments of acute and chronic neck or back conditions especially those that involved the spinal discs. Our goal in setting up of our chiropractic and physiotherapy centers was to have a fully capable spine and joint center with advanced technology in addition to a team of expert physiotherapists and chiropractors. 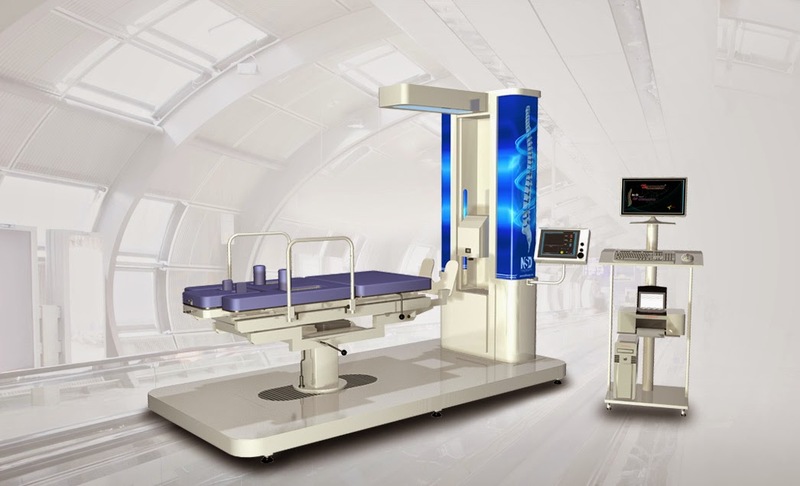 We wanted to offer non-surgical spine and joint care for even the most complicated conditions. These were not light tasks. It took years of hard work and dedication from our clinical and managerial staff to accomplish the goals we had set out for ourselves. Today, our centers offer a true alternative to invasive and surgical procedures for the spine and joint. We have successfully treated many difficult cases, even a few that were made worse by a surgical intervention. It is not just our technology that is superior, it is our training and our staff that sets us aside from others. The combination of advanced technology and skilled knowledgeable staff are the cornerstones of our successes. We are the ONLY centers in Malaysia offering NSD Therapy. NSD Therapy is a multi-step method of non-surgical and non-invasive treatments. NSD Therapy is rendered through machines, physiotherapists and chiropractors. It is a highly effective, specific and focused method of spine therapy. NSD Therapy has been extremely effective in the treatments of patients diagnosed with severe slipped disc. In fact, in our office we have a success rate of greater than 95%, when it comes to treatment and management of slipped disc symptoms and patients. 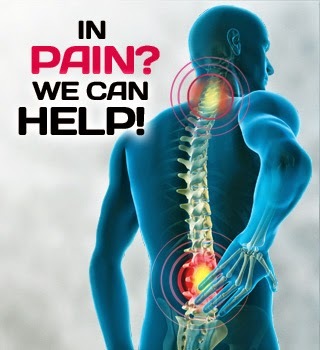 You can learn more about our centers and methods of care by visiting www.mychiro.com.my. Please call our headquarters in Kuala Lumpur if you have any questions about our services or to find a location near you. When you get us on the phone, please let us know how to help you. Don't forget to ask us about our locations, as we are constantly launching new Chiropractic and Physiotherapy centres throughout Malaysia. Many of our new patients asks us what makes our system of treatment effective and unique. While there are several reasons including the NSD Therapy, our skills, our knowledge and of course our staff, but the easiest answer is: our Technology. If you or one of your loved ones is suffering from a spine, joint or sports injury call one of our centers and see if our chiropractors and physiotherapists can treat you conservatively. Surgery should always be a last option. Visit us on-line at www.mychiro.com.my or call us today and ask to speak with one of our clinical team members. I'm just glad Jacob ended up being alright... but the fact he had to deal with back pain at such a young age itself is pretty heartbreaking. That's not something you should have to deal with until you're old!